Recently I purchased a Sony NEX-5 Mirrorless Camera for the purposes of portability so that I can easily carry around an digital camera with a decent sensor size. The bigger the sensor, the better the quality, at least that’s what I thought. I sold it 3 days later because the Sony NEX5 didn’t give me what I was looking for. It might be portable but it lacks some basic features which is crucial for me as an HDR photographer. Sony has been the biggest force behind mirrorless cameras and I appluad them for taking this technology to the next level. However it surprises me, considering the popularity of HDR, that they would limit the auto bracketing feature on this camera. Auto braketing for those new to HDR is the camera’s ability to automatically adjust the camera to capture different exposures. Most DSLR cameras at this price range can automatically capture exposures at +/-2 stops which is enough for most situtations when photographing high dynmamic range images. The Sony NEX-5 however is only capable of capturing +/-0.7 stops. That’s not enough… it’s not even a full stop! 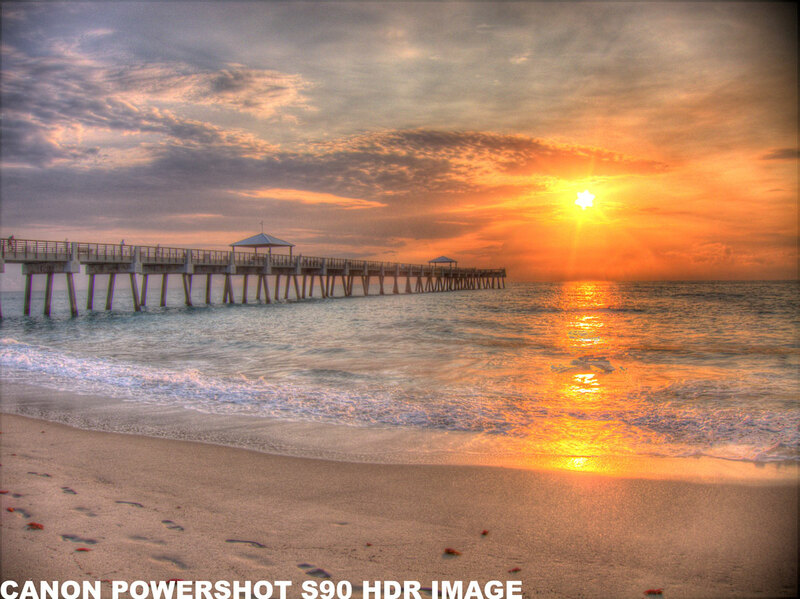 Yes, the Sony NEX-5 has a built in HDR feature, but like most built in HDR option it’s useless. This is because the camera merges the exposures together for you, which means, you get what you get. So there’s no tone mapping of the image, or else adjusting the light to what a photographer might feel represents the image better. Some people would argue that Sony reserves the +/-2 auto bracketing option for the higher priced digital SLR. However I looked into buying a Sony A67 which is a $900 camera only to find out that it has the same auto braketing features as the Sony NEX-5. The only camera to have a good auto braketing feature is the Sony A77, which is their top of the line SLR camera selling at $1,400 body only. I guess the main reason I’m upset is that auto braketing is all software, and to implement that into a camera should be a simple thing especially for a large company like Sony. Why would Sony limit the photographer’s ability to shoot when the capability is an easy software upgrade? That is the million dollar question I want answered and I’m sure Sony camera users feel the same way. So enough about the limited auto braketing feature. I can still shoot HDR using exposure compensation which allows me to manually adjust the exposure +/-2 stops. To do this I set my camera to AV mode and hit the +/- sign which will allow me to dial in the exposure I want. That’s easy enough but not practical if you’re an HDR photographer but I’ll deal with it. I was willing to over look the limited auto bracketing option and use exposure compensation instead. 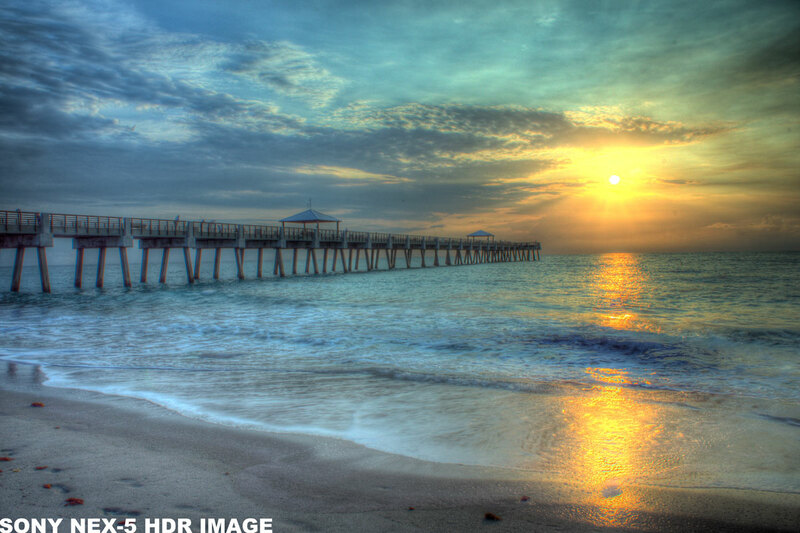 However what made me sell the camera was the result from the tone mapped HDR image. For some reason when merged together the file seem to have very limited dynamic range. The final result from Photomatix was very unpleasing and not what I’m use to seeing. I even compared it to my Canon PowerShot S90 which looked better if not the same. See images below. 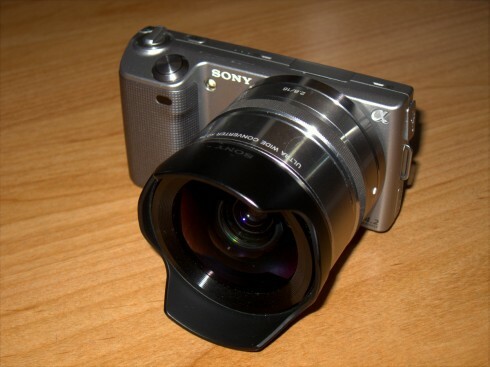 But it’s not all bad, the Sony NEX-5 is a very good camera that hits its’ intended audience perfectly. It’s very compact, as long as you have the 16mm pancake lens, even with the 18-55mm it’s still pretty small. It shoots very fast and the image quality is good for a crop sensor camera. It’s loaded with tons of cool features like the panorama shooting mode. My favorite thing about the camera is the LCD. It’s actually too good because when you see your photos on the computer monitor, it looks nothing like the LCD from the camera. The Sony NEX-5 doesn’t work for me as a HDR photographer but for people who need portable, high quality, single shot images, I think the Sony NEX-5 would be a great camera. But if you want to get into HDR photography with a portable camera I would recommend the Canon PowerShot S100. Personally I’m going for the Canon Rebel T3 which is a little bigger but I’ll deal with the weight as long as I get the HDR results that I want. I’ll do a review on the Canon Rebel T3 soon once I’ve put it through the Captain Kimo field test. For those who want to pixel peep or have a go at HDR processing with some RAW exposures you can click on the link below to download full resolution RAW files from the Sony NEX-5. Canon EOS 5D Mirror Problem - It fell off!